1. I read Grounded by Diana Butler Bass this month. In this newest offering, Bass explores themes of God's presence and spirituality that can be found and nurtured outside the walls of the church, including nature and community, which are divided into sections and subsections such as water, earth, sky, neighborhood, and so on. 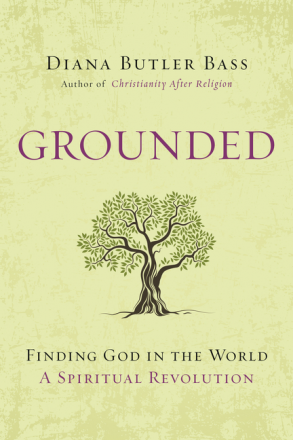 I found it very reminiscent of Barbara Brown Taylor's An Altar in the World, as both explore how God is infused with everyday living; breaking down the traditional barriers of secular and sacred. Bass' writing is thoughtful, accessible, and poetic. This is a book for spiritual seekers of all kinds. 2. I also read Jesus, Bread, and Chocolate by John Thompson this month, the review for which you can read here. 3. When I found out that Phantogram was teaming up with Big Boi for a project and album called Big Grams, I got excited. I just discovered Phantogram last year and loved Voices. I found this effort a little underwhelming. It didn't grip me the way I thought it would. But there are some good tracks, including "Fell In the Sun:"
4. Widespread Panic released a new album last month entitled Street Dogs, which features their familiar southern blues-rock sound. It's clear that Jimmy Herring has settled into the lead guitarist role, and while this will be blasphemous to long-time Panic fans, I think I prefer his work to the late Michael Houser's. He helps give life to most tracks, whether the need is for something driving or more atmospheric. Here's one of my favorites, "Angels Don't Sing the Blues:"
5. I've also been listening to the newest from The Dead Weather, Dodge and Burn. They incorporate some electronic elements into their sound on this third effort...don't tell Jack White, but The Black Keys did that first. Anyway, their now-signature sound of grinding guitars and punchy drums underneath Alison Mosshart's passionate vocal style makes for another great outing. Here's the opening track, "I Feel Love (Every Million Miles):"